Did you go apple picking this weekend? 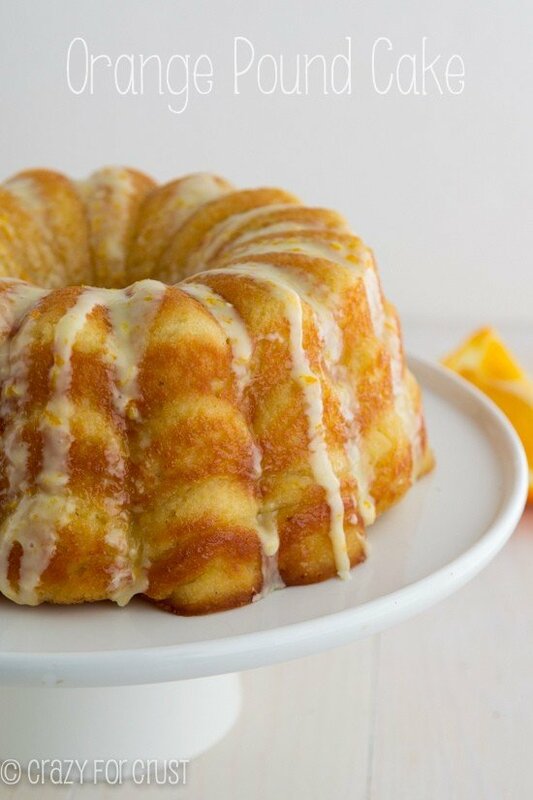 I hope you brought home some apple cider so you can make this pound cake! Over the last few weeks I’ve been cleaning out my house and I’ve realized something about myself: I’m a pack rat. A major, certifiable, too-much-stuff pack rat. I’d call myself a hoarder but I’ve read that book and I can see my floor and there aren’t squatters in my attic, so I’m not a hoarder. But, you guys…I’m on my way there. And I need to fix that, ASAP. The problem is that I have a problem letting go of things. What if I need them one day? What if I need those envelopes and leftover Christmas cards from the last 10 Christmases? What if I need those outdated picture frames? What if, one day, Jordan wants to craft with an assortment of marbles? WHAT IF I RUN OUT OF SOCKS? I think that’s why I like food so much. Food is consumable. It goes away. Make some cookies, eat them. Make a cake, share it. You can’t hoard food. Last weekend we took a break from all the messes and went apple picking. Because hoarding apples is never a problem – there’s always something to make with apples. I never went apple picking growing up because there wasn’t an orchard close by. But now that I live outside Sacramento, we’re only an hour from “Apple Hill” which is an area full of apple growers. Every fall they throw open their doors and the hoards of yuppies drive in from the city to eat pie, pick apples, and buy goodies. Anyway, long story short (ha), our first stop is always at Rainbow Orchards. They have the BEST apple cider doughnuts. They’re cooked to order, hot, crunchy, and perfect. Oh, and it’s the one day a year that Mel eats a doughnut, so you know they’re good. Rainbow also has the best apple cider. I always buy a quart and then I come home and bake with it. This year I came home and set out to recreate my favorite apple cider doughnuts without all the frying. Instead of a doughnut, I made an Apple Cider Pound Cake! This is my favorite pound cake recipe. It started out as a lemon pound cake that made two loaves. It turned itself into orange pound cake and then banana, and then I decided I didn’t want a huge pound cake just for me, so I turned it into a single pound cake loaf made with champagne. Now that I have the best pound cake loaf recipe, I’m going to turn it into all the flavors and I’m starting with Apple Cider. 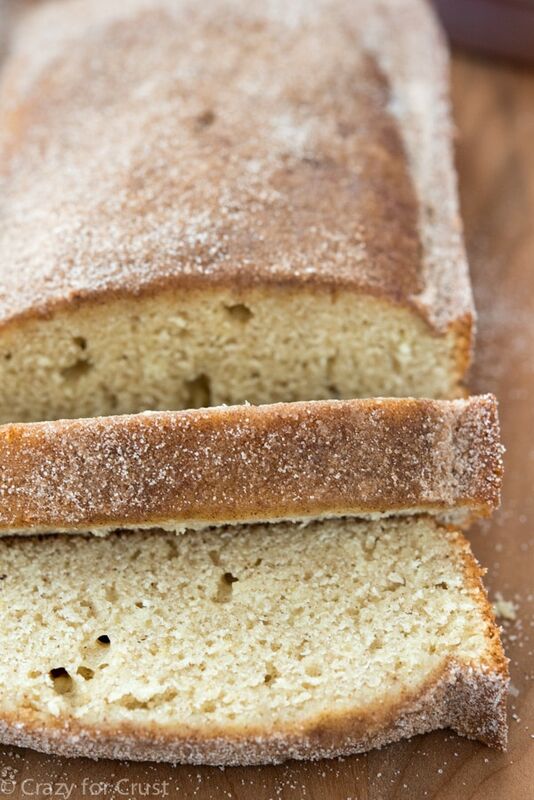 This pound cake loaf is made with melted butter and sour cream (or Greek yogurt). The result? 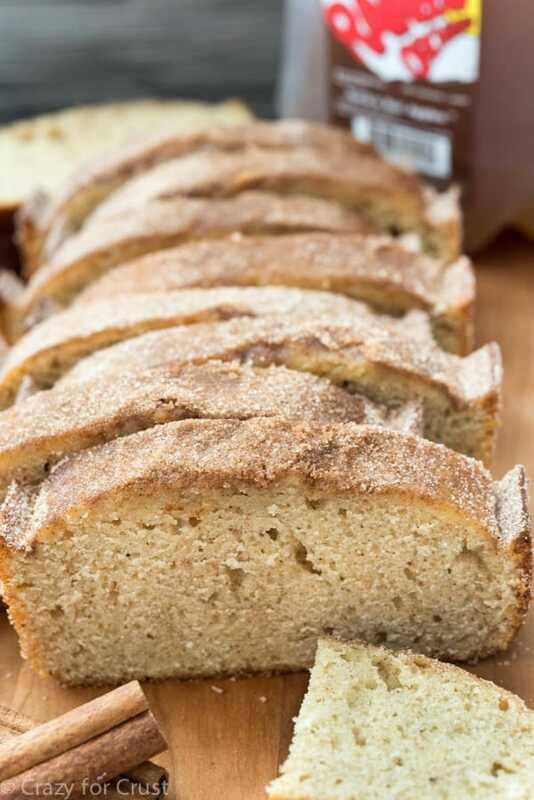 A moist and tender crumb that just melts in your mouth. The apple cider flavor is there and enhanced by a hefty addition of cinnamon, nutmeg, and cloves. 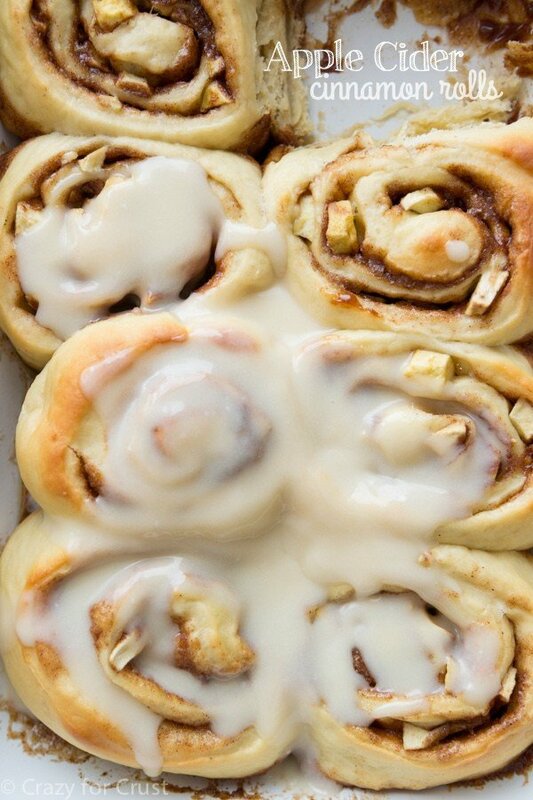 When this is in your oven, your house will smell like fall. But just the loaf itself is not enough, nope. I’m a pack rat and I like to pack in the flavor! The cake is glazed with a simple syrup made of more apple cider and sugar. You cook it just until it boils and then brush it over the warm cake. And THEN you sprinkle it with cinnamon sugar for a nice crunch, just like my favorite doughnuts. This Apple Cider Pound Cake is fluffy, moist, and tastes like fall! 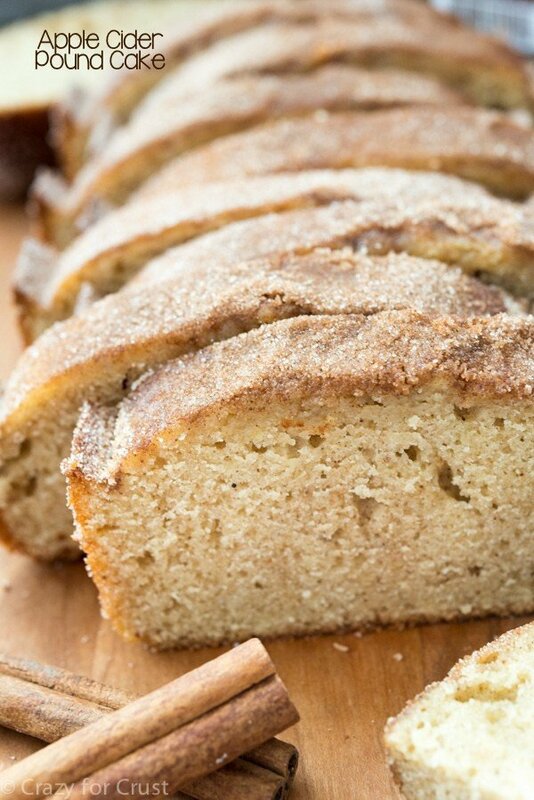 The apple cider and spices add great flavor, and the cinnamon sugar gives a crunch. It's like an apple cider doughnut in cake form! Preheat oven to 350°F. Line the bottom of a 9x5" loaf pan with parchment paper, then spray it with nonstick cooking spray (the kind with flour) or grease and flour it. Whisk flour, baking powder, salt , cinnamon, nutmeg, and cloves in a medium bowl. Set aside. Stir melted butter, sugar, and sour cream or Greek yogurt in a large bowl. Stir in eggs, one at a time, then stir in vanilla. Add apple cider and dry ingredients and stir just until moistened. Pour into prepared pan. While the cake is baking, make the glaze. Heat the sugar and apple cider in a small saucepan over medium heat until it boils. Boil for 1 minute, then remove from heat. Stir together topping ingredients, sugar and cinnamon, in a small bowl. Cool pound cake for 15 minutes in the pan. Use a knife to loosen around the edges, then carefully remove the cake and place it on a cooling rack set over a cookie sheet. 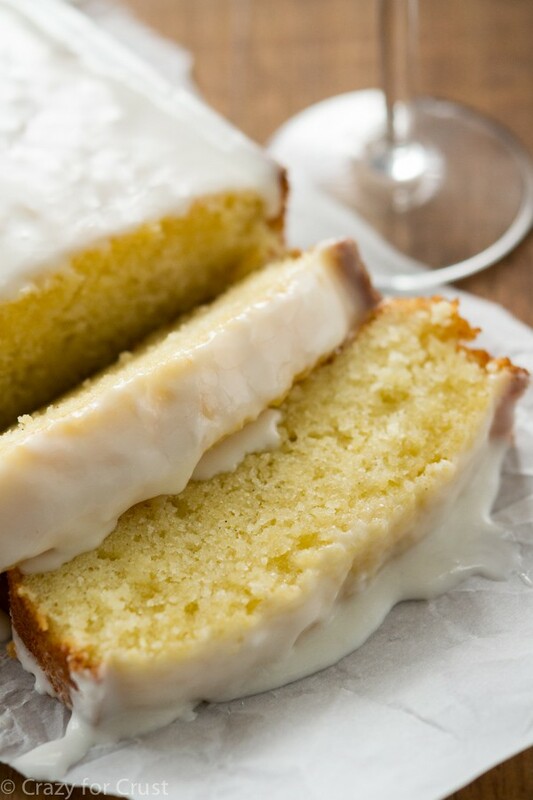 Use a pastry brush to brush the apple cider glaze over the top of the cake. Immediately sprinkle with cinnamon sugar mixture. Let cool before eating. Store loosely covered at room temperature for up to 3 days or freeze for up to 1 month. I like to slice and freeze the slices in sandwich bags. Okay this looks like the best pound cake ever!! I wish we lived near some apple orchards because I bet it is a beautiful sight! I really really wish we were close to an apple orchard. I Googled it again this year and we’re not. I am DYING for a good cider donut. Totally – I have SO. Many. Apples!!! I actually started reading that book and while I won’t be thanking my purse every day, I do think there are some good points in it. It kind of spoke to me in so many places. But yes, it’s extreme, for sure! Yum! This post makes me want to go apple picking! Did you use fresh or ground nutmeg? I use ground but you can grind your own fresh if you prefer. It would be ok if I just hoard the entire loaf to myself, right? I am loving this fun fall pound cake so much!!!! Will this recipe turn out good muffins/cupcakes? I haven’t made this recipe as that, but I’m sure it would work. If you try it, let me know how it goes! This looks amazing! Any suggestion to make this lactose-free? Can you substitute margarine for the butter? I wouldn’t – they have different results when baking. Hi! I really want to try this recipe, but am not sure about the cloves – I have whole cloves, do I need to use ground cloves instead? Thanks! Ground ones yes, I’m sure you can grind them using a microplane, but you can leave them out in a pinch, it won’t affect it too much. Made this cake exactly as written. But my cake took 1 hour to bake completely done. My cake seemed to be a little more brown than the picture, maybe because I used a glass pan? Also seemed a little dry. Helped a little to drizzle warm boiled cider on each piece we had. Not sure if I will make again.